If you want to get a reaction from someone, all you have to do is say, “voice mail”. I used to think that was odd because voice mail is one of the most efficient and effective communication tools we have today. Then I realized that for many people hearing the words “voice mail” means that they are about to find themselves in “voice mail jail.” You know, when you dial the business number and a voice—not a live person—answers with, “Hello, you have reached XYZ Company. Please listen carefully to the following options as our menu has recently changed.” You’ve heard this before so you grit your teeth and prepare for an ordeal. After listening to all the choices, you realize that none of them suits your needs. You suffer any one of several different reactions . You might feel stupid that you can’t figure out what number to press. Or you become annoyed when you have to go through the list again, wasting precious time while you try to guess which magic number will get you through to the person who can help you. Perhaps you didn’t have difficulty making a selection. You picked a number, heard the line switch over and were told, “All of our customer service representatives are currently helping other customers…” You know the rest. You hear that your call is very important and a disinterested voice asks you to stay on the line for who knows how long until someone can get to you. My personal favorite of all the automated messages is the one that tells you that you are caller # 1. You expect some one to come on the line immediately. Dream on. In yet another effort to assist the customer without having to have any personal interaction is the option to bypass the menu and enter the extension of the person you are calling. The voice tells you that if you don’t know your party’s extension, you can listen to the names of all 300 people in the firm and their extensions in alphabetical order. This can send you right over the edge, especially when the person you are calling is named Ziglar. If you are lucky, you are told to enter the first three letters of the person’s name. What if you don’t know the name of the person who can help you? Sometimes you can press zero and go straight to an operator, but that trick doesn’t always work. So what are customers to do? Well, if customers have a choice, they go to the competition. When they don’t have an option, they get angry or frustrated. When they finally get someone on the line, they lose it. The person on the other end now has an irate customer to handle and has to engage in damage control. Why put your customers through this? If you have an automated answering system, call your own business from time to time and see how you like it. Do you really mean to build a wall between yourself and the people who keep you in business? If people stop calling, it won’t matter what state of the art system you have, you won’t need it or your phone line. Gone are the days when a live person answered the phone in most businesses. The automated systems save money, but are they worth it if they turn people away? What most of us want to hear when our calls are answered is a pleasant, “Hello, this is XYZ Company. Veronica speaking. How may I help you?” Finally, a real human being. 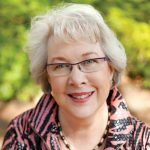 Lydia Ramsey is a business etiquette expert, professional speaker, trainer and author who works with individuals and organizations who understand that manners add the polish that build profits. Good manners mean good business. Lydia believes that It’s not about rules; it’s about relationships.